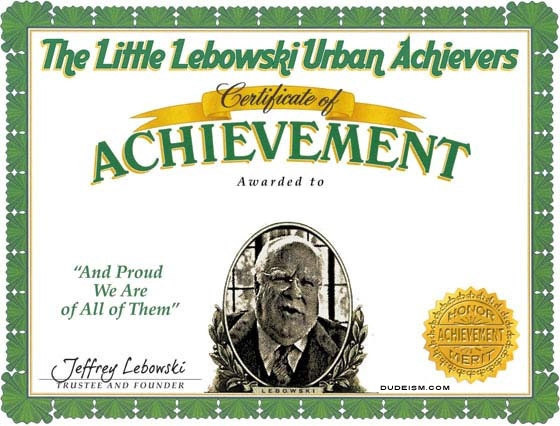 Make a Little Lebowski Urban Achievers Certificate for yourself or your friends! Then share it with the world! Either 1) click on like, or 2) save the image to your computer and then upload it somewhere or 3) copy the link in your browser and post it somewhere. 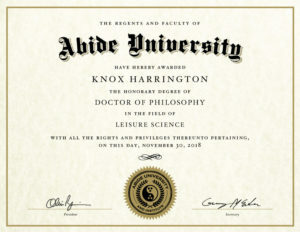 Get ordained as a Dudeist Priest!